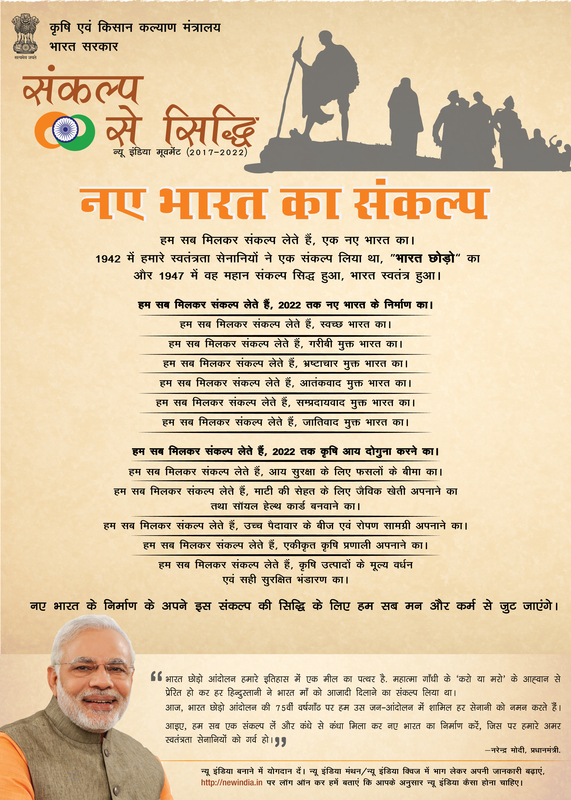 The programme of Sankalp Se Siddhi programme was organized at Smt. Shiv Dulari Singh Girls P.G. College, Gungwachh, Amethi (U.P.) on 25.08.2017. Chief Guest of this programme was Rani Garima Singh Ji, Hon'ble MLA, Amethi along with other distinguished guests, development officers from Amethi district. The programme was attended by around 650 farmers of the district who took Sankalp from the Chief Guest about the doubling of farmers income, Swachha Bharat etc. In this programme there was an interaction meeting with the KVK Scientists and farmers and discussed about the various issues related to doubling of farmers income by 2022. 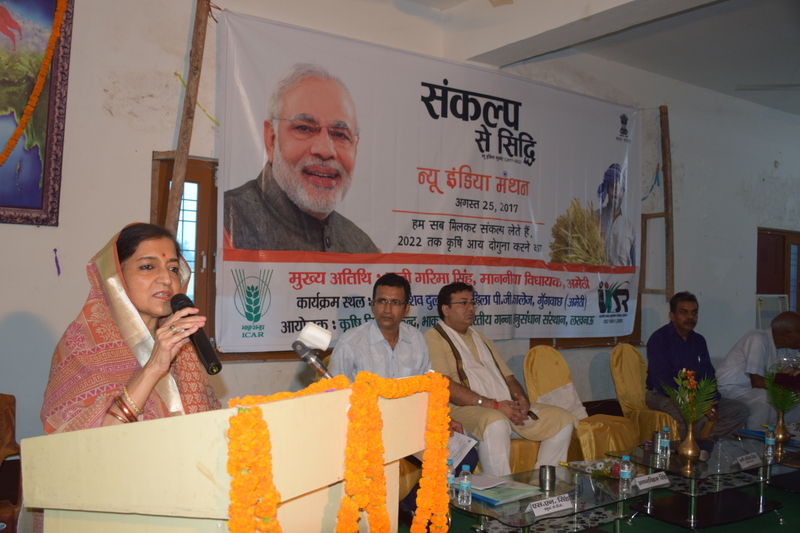 Image: Chief Guest Rani Garima Singh Ji, Hon'ble MLA, Amethi addressing the farmers about the issues related to doubling income of farmer by 2022.